Here is a great deal from Lenovo. It is offering its IdeaTab A2107 (7-inch) and IdeaTab A2109 (9-inch) tablets for £149 and £199 respectively. This puts the IdeaTab price to be cheaper than Google Nexus 7 and Amazon KindleFire HD. How good are these tablets ? 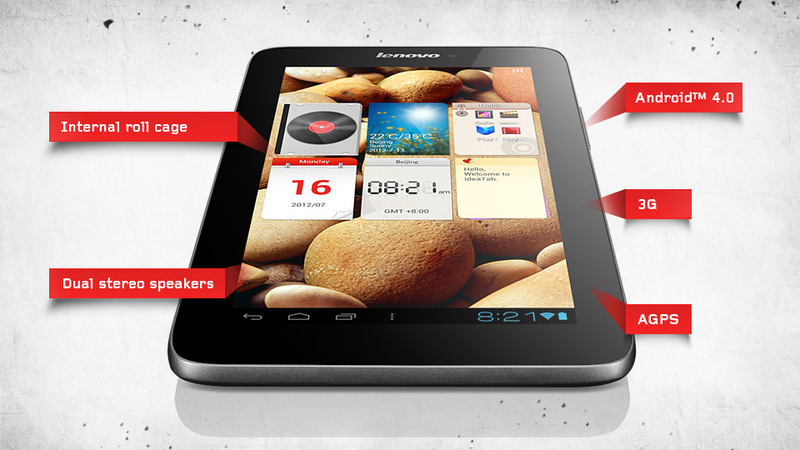 The 7-inch A2107 has a battery life of eight hours, and inside is 16GB memory. It features an internal roll cage, which should help protect it against drops, should you come over all butterfingers this festive season. The A2109 is more powerful, with an Nvidia Tegra 3 1.2GHz quad-core processor. The 9-inch screen has a resolution of 1,280x800 pixels, giving it a pixels per inch count of 167. That's not going to worry the iPad's Retina display, but then at this price you can't ask too much. Both tablets feature dual speakers for stereo sound, which should help if you're planning on using them for music and movies. Both are running Android 4.0 Ice Cream Sandwich. More than enough for todays apps. This is indeed a very good deal. Lenovo is ranked at the top for PC and smartphone. It looks like it is going to try dominating the tablet market by offering cheap good tablet PC.